The Venturo HT66KX with VLC™ controls features a maximum capacity of 11,500 lb. Venturo’s new Electronic Crane Control Management System provides added safety and benefits for crane operators. Benefits include a standard, wireless, pistol-grip controller, overload protection which controls and prevents any type of overload, LCD Display Screen alerts, transmitter handle vibrations, green/yellow/red alert lights under boom, and corresponding lights on the receiver. The LCD display shows percentage of load, boom angle in degrees and percetage of total capacity during crane operation. The VLC™ system also provides vehicle stability and grade control. Wireless-remote, pistol-grip controller. This will be a standard feature as part of the (VLC™) system for ALL proportionally-controlled Venturo Hydraulic Service Cranes. Precision-overload protection increases operator safety by controlling and preventing any type of overload on the crane. A result of this feature is a lighter-weight crane, which increases payload capacity on your service truck! Real-time load and status LCD display shows percentage of load, boom angle in degrees, and percentage of total capacity during crane operation. 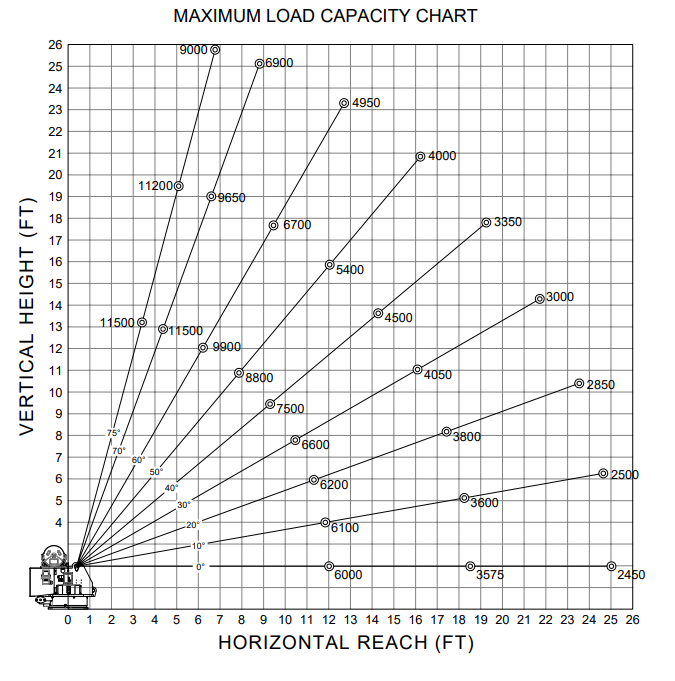 * Crane meets ANSI B30.5 Safety Standards & OSHA 1910.180 Requirements.